We had never visited this place before, but it was really cute and fun. 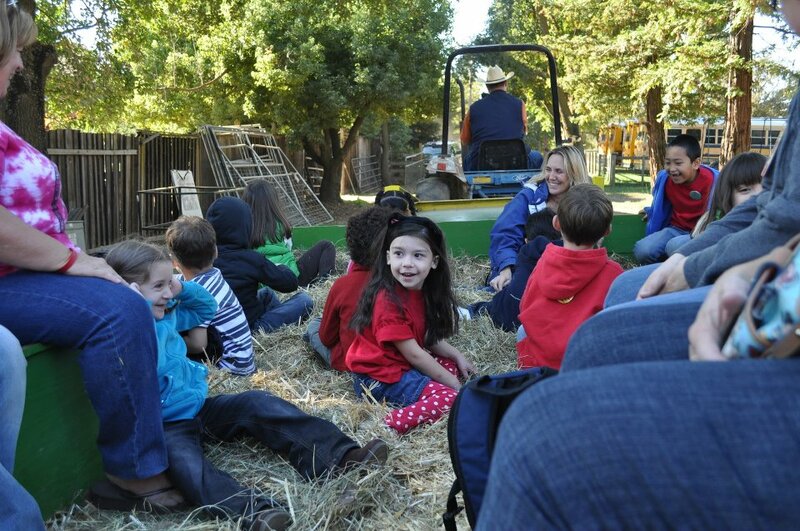 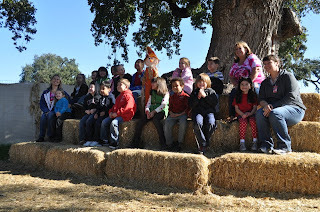 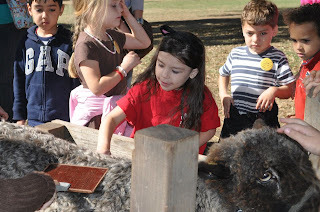 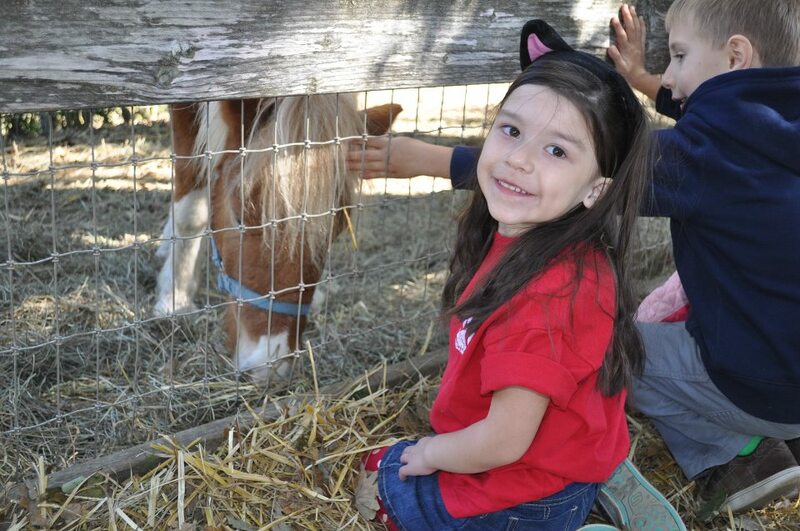 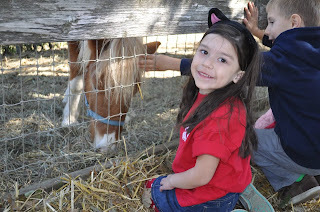 There was a petting zoo, huge playground, hay rides, plenty of opportunities to pet and learn more about various farm animals, and of course, pumpkins! 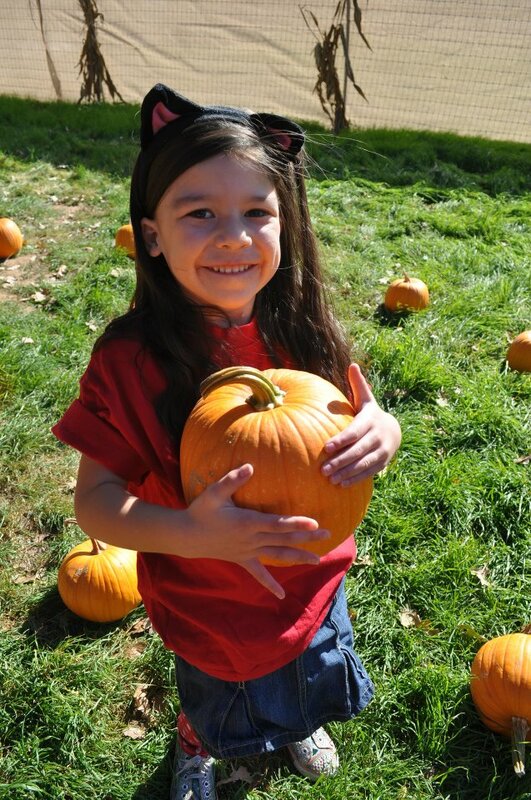 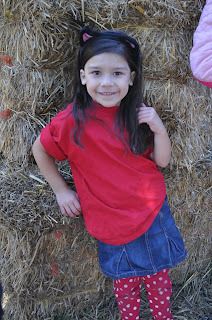 Ava had a wonderful time, got to ride a school bus, learned how to make a haystack, had a picnic lunch with classmates, picked out her own pumpkin, went on a hayride, and she got up close and personal and learned so much about her favorite subject in the world, cute and fuzzy animals!